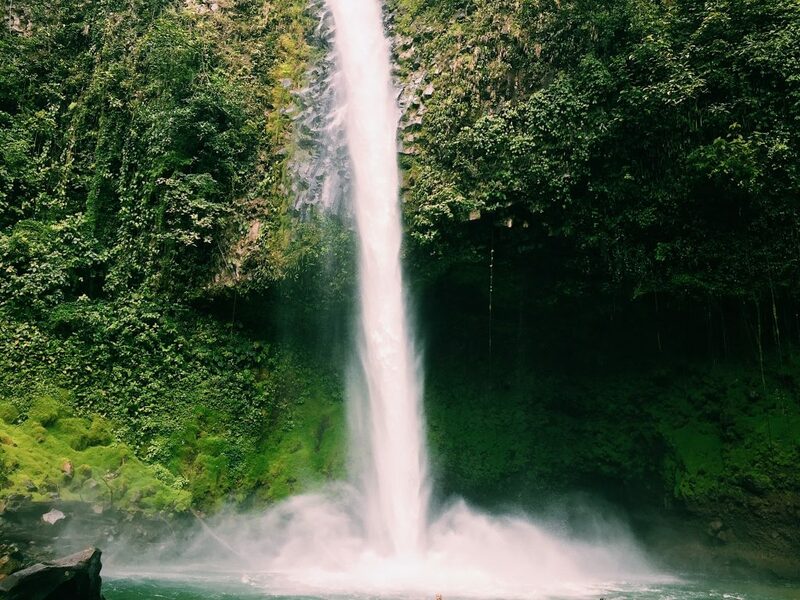 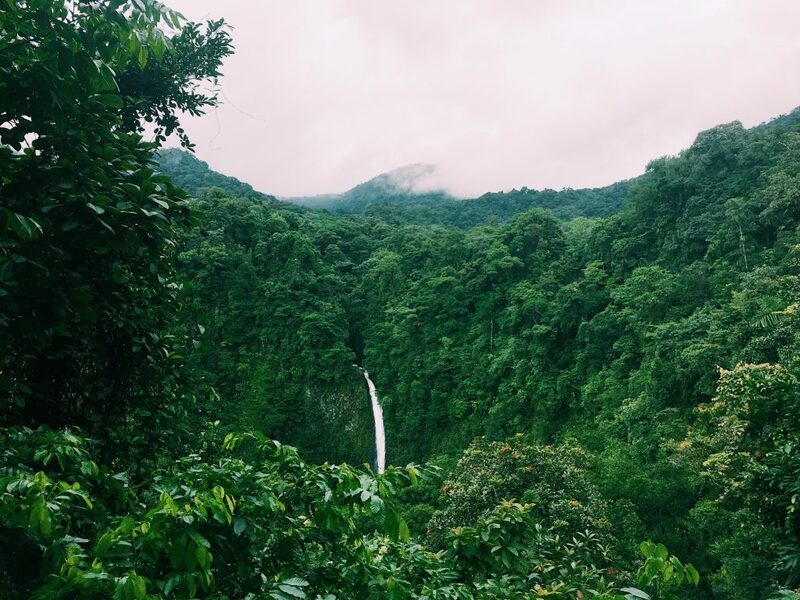 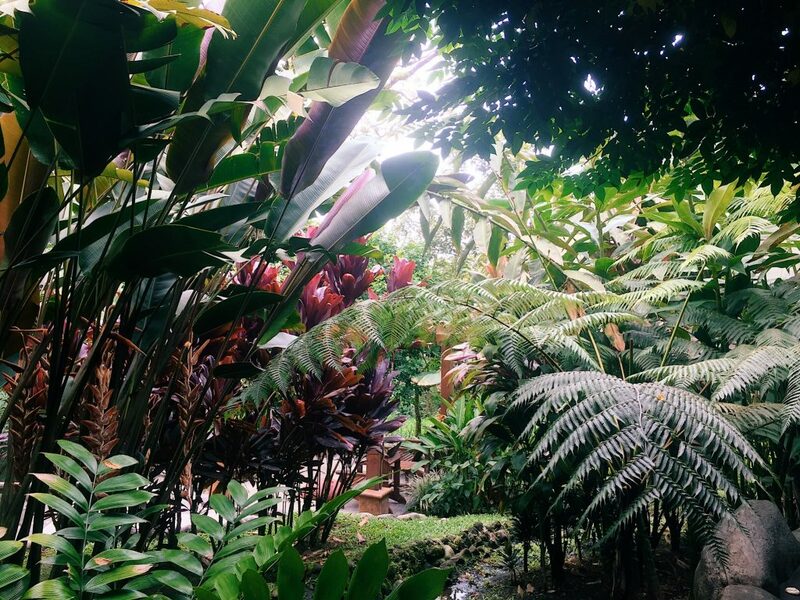 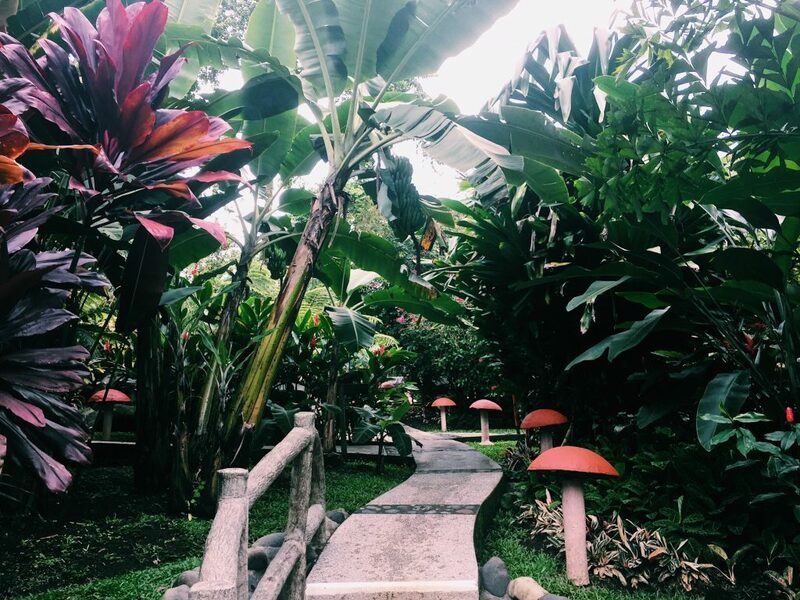 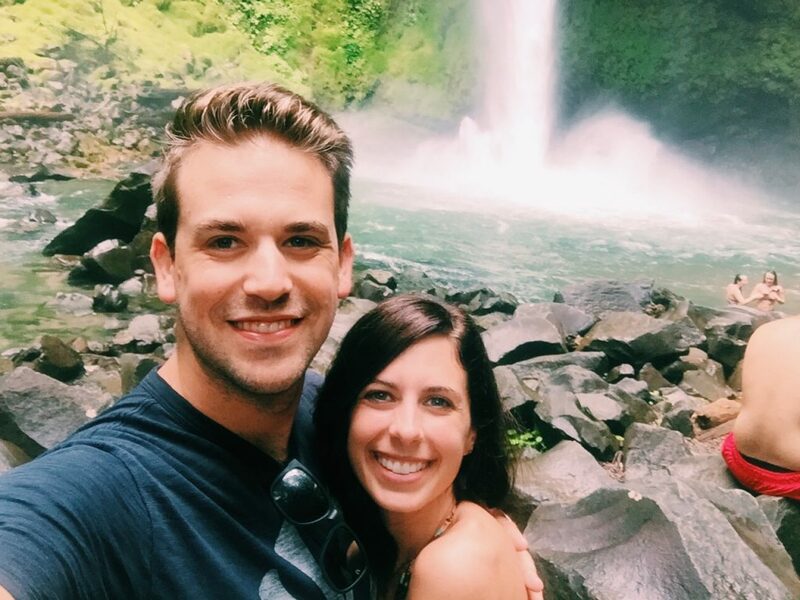 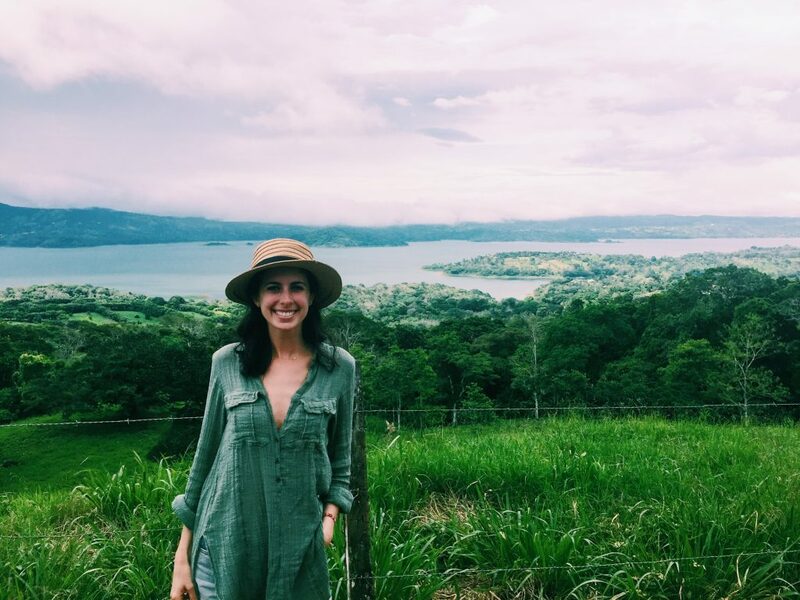 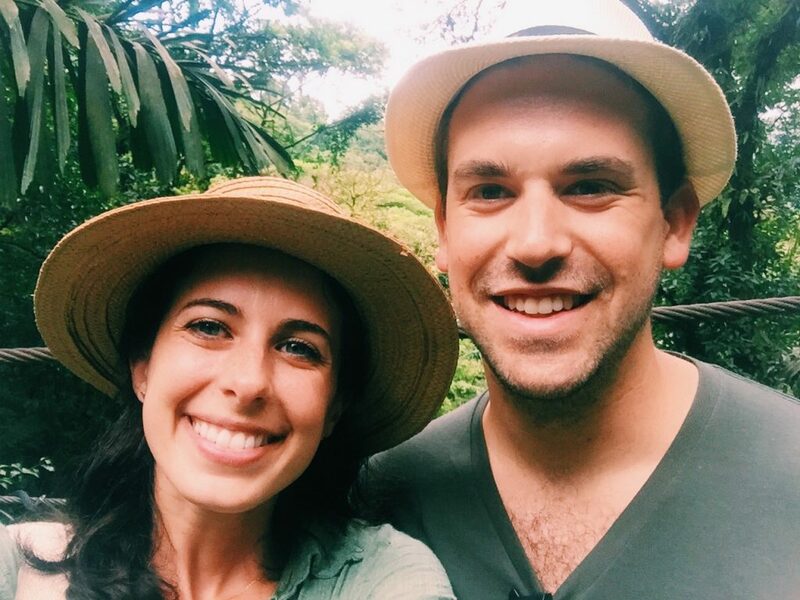 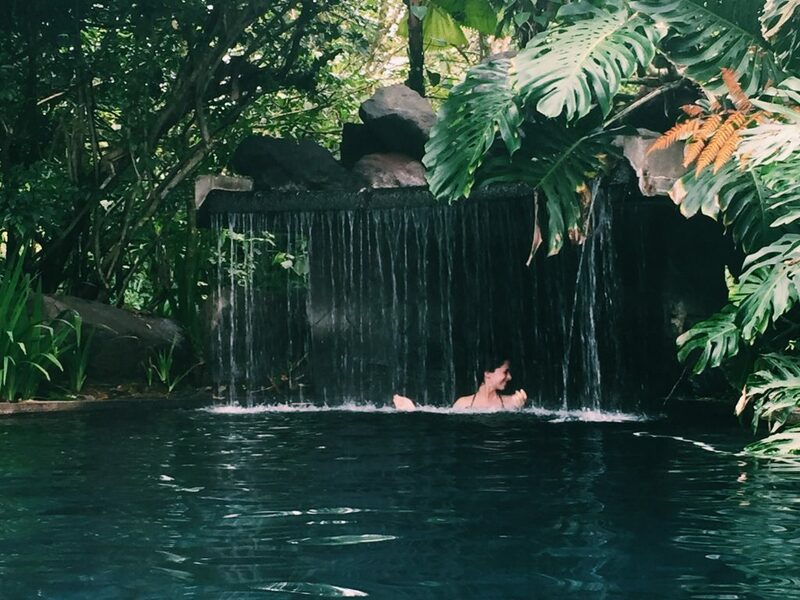 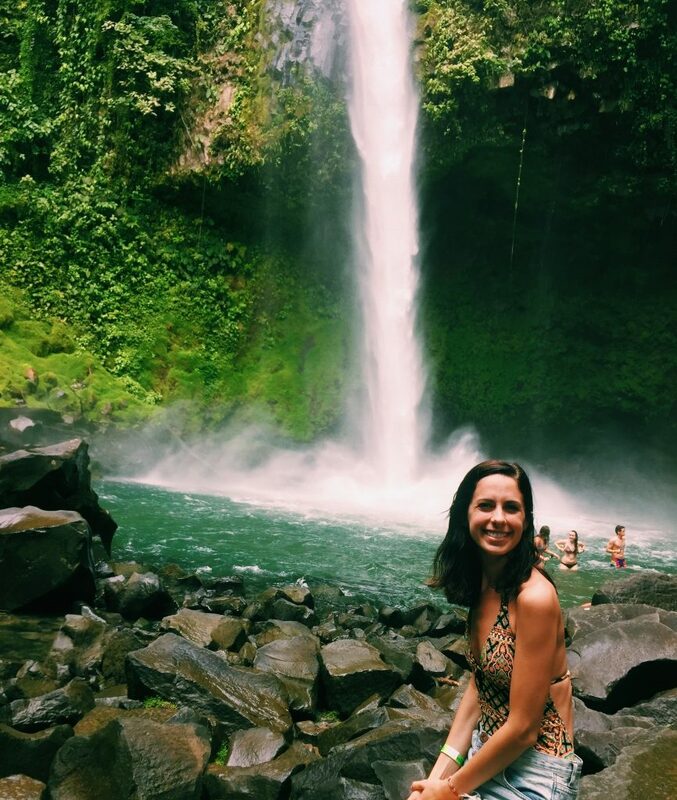 After a beautiful week of blissed out beach-life in Guanacaste, we ventured to the town of La Fortuna for some rainforest waterfall adventures. 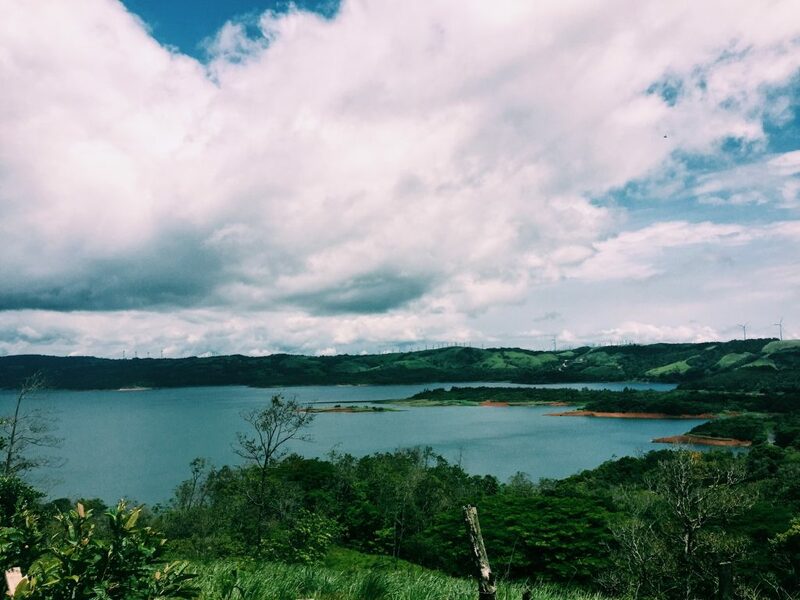 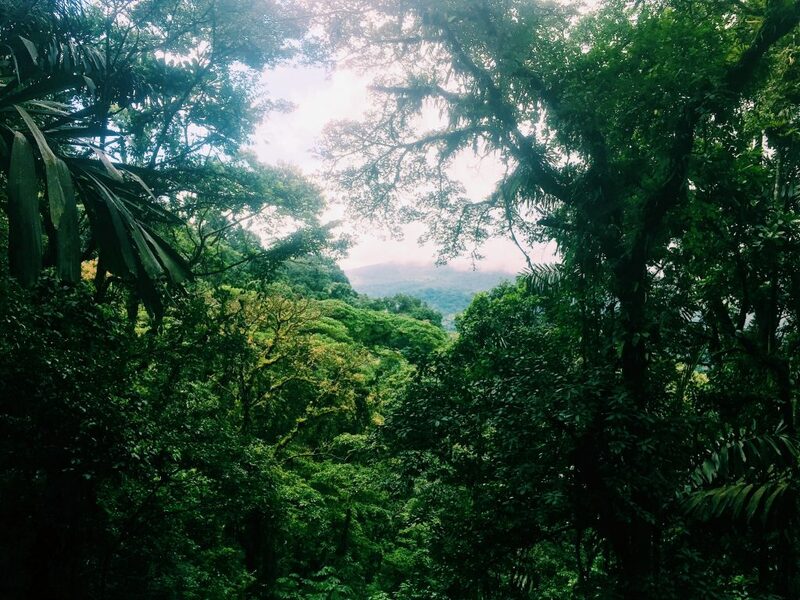 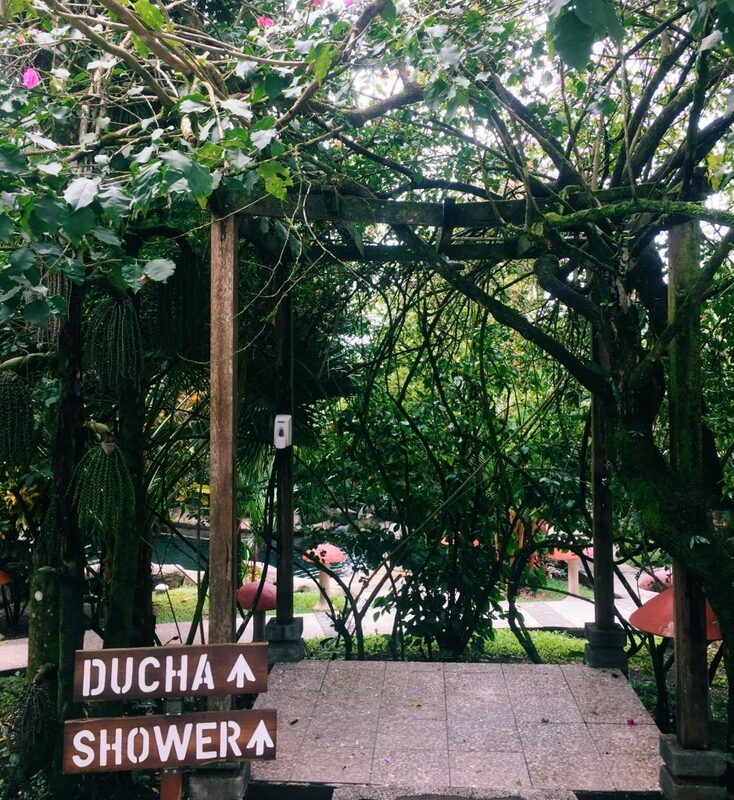 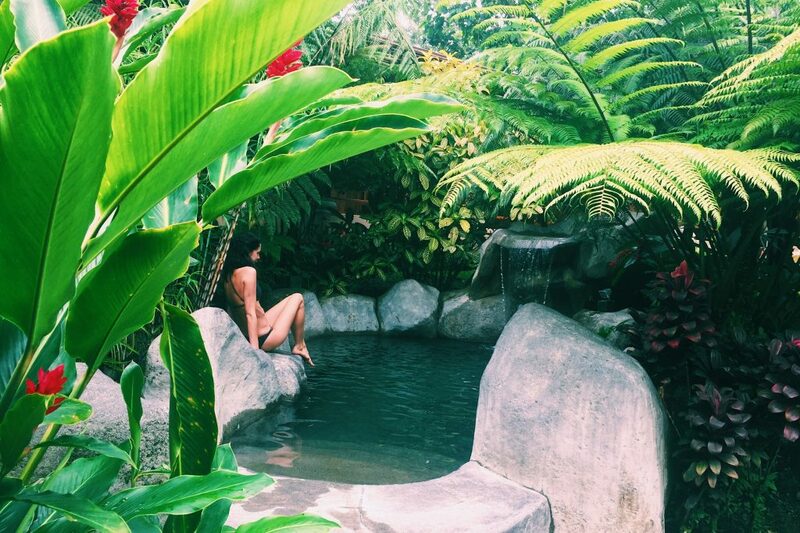 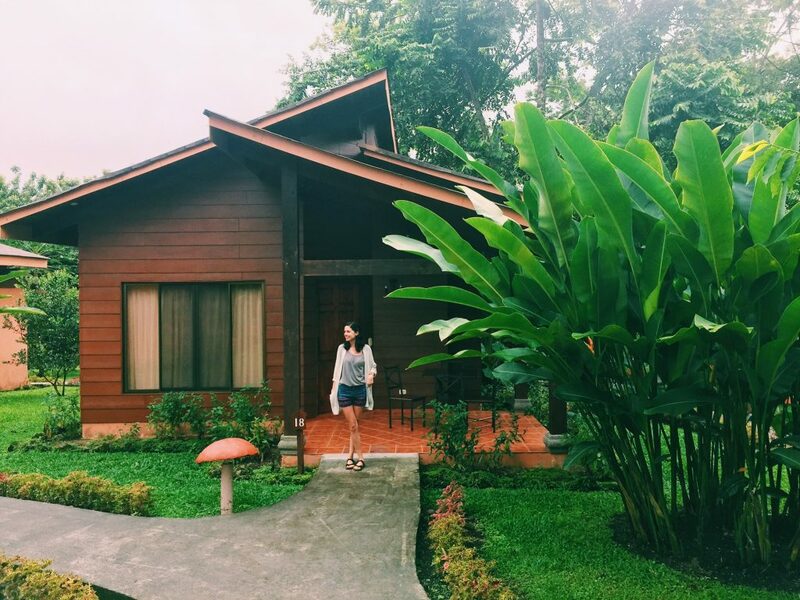 The scenic 4 hour winding drive around Lake Arenal was an adventure in itself and spent most of our days hiking the majestic rainforest and soaking in the hot springs! 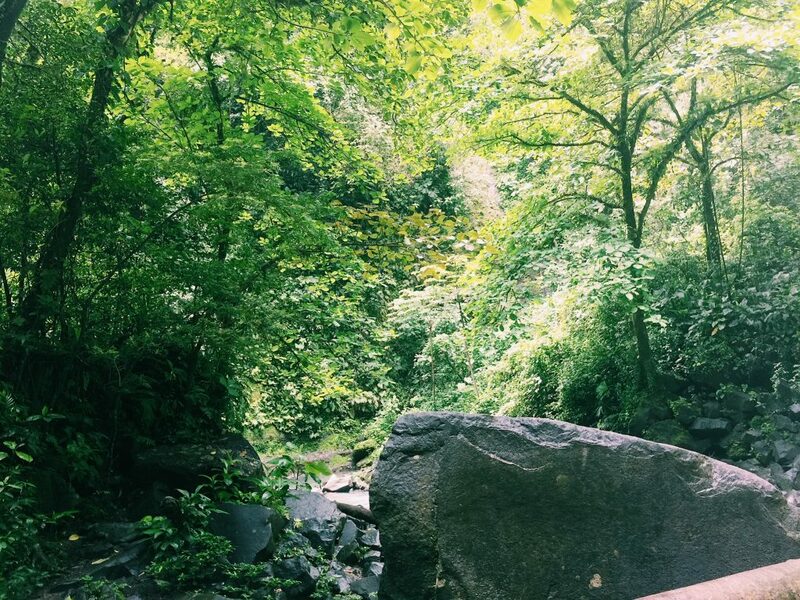 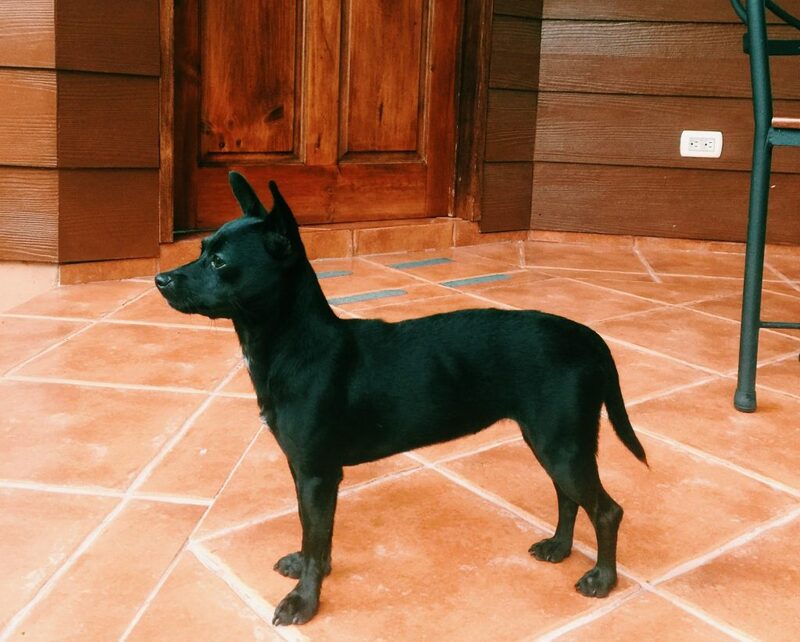 [Tips at the bottom of the post. 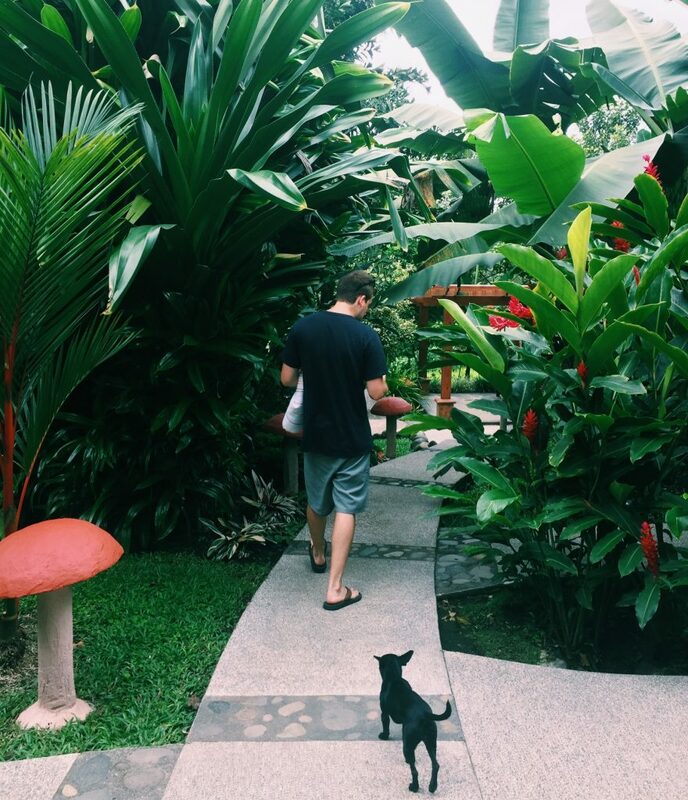 This is Part 2 of our travels. 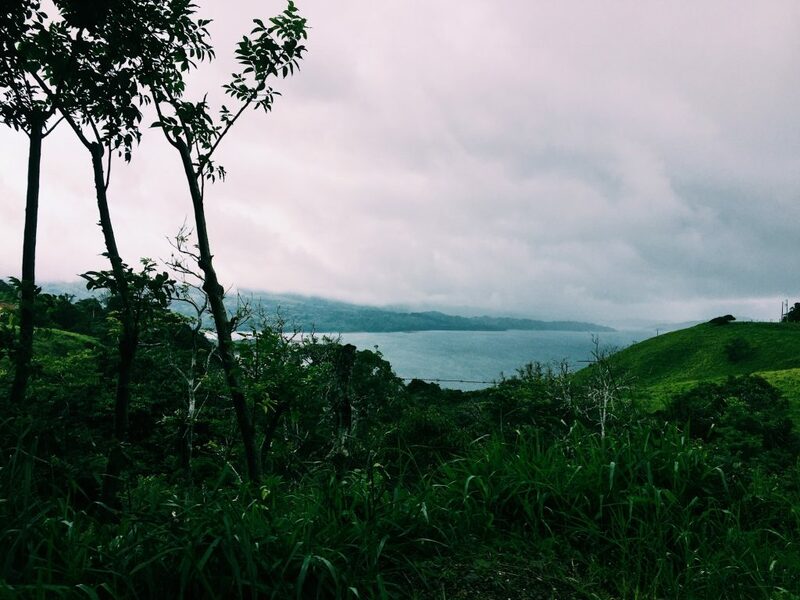 View Part 1 here]. 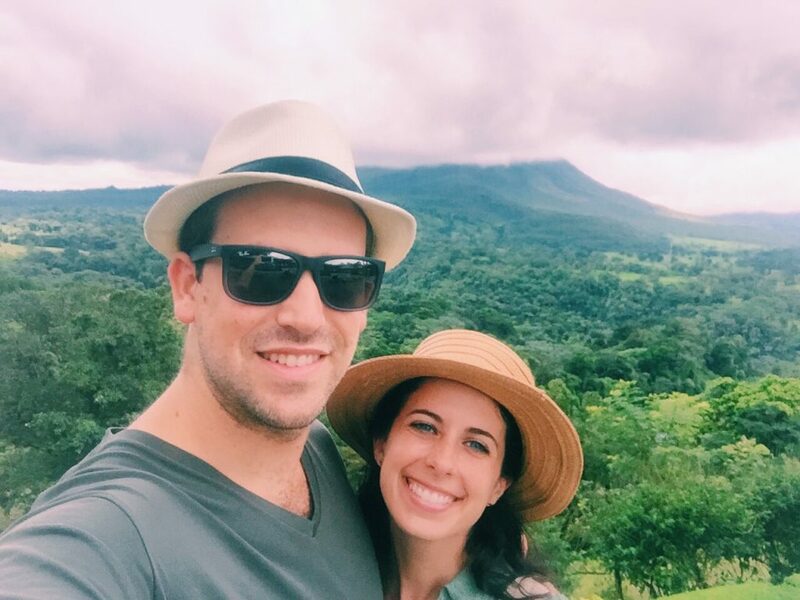 Liberia airport – highly recommend flying into to Libera rather than San Jose – it was recently renovated and short drive to the beach and the rainforest. 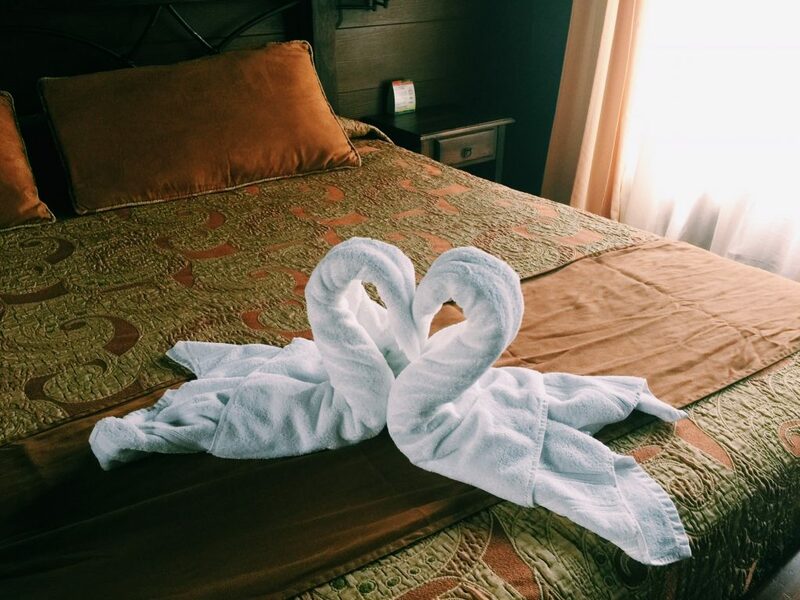 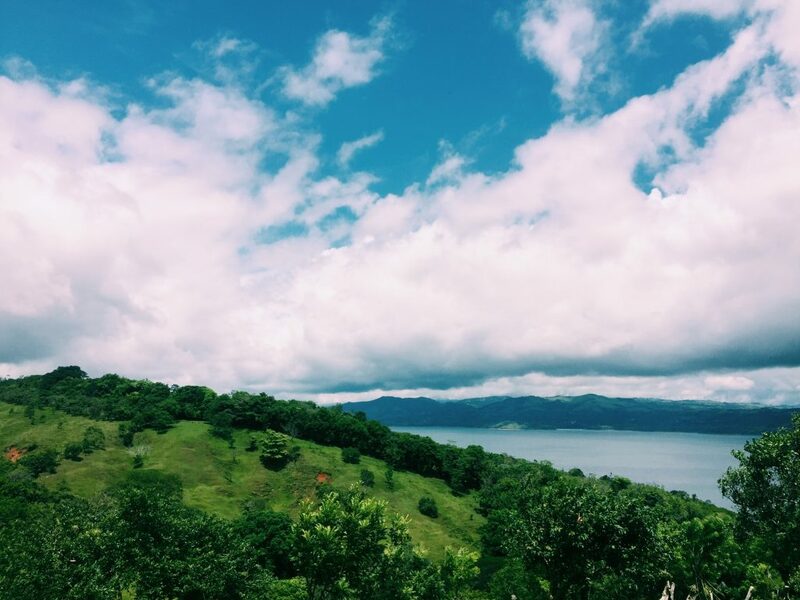 Car rental – make sure to book 4WD vehicle to be safe – most of the roads are in excellent condition, but if you decide to travel out of the Guanacaste region some of the roads aren’t paved. 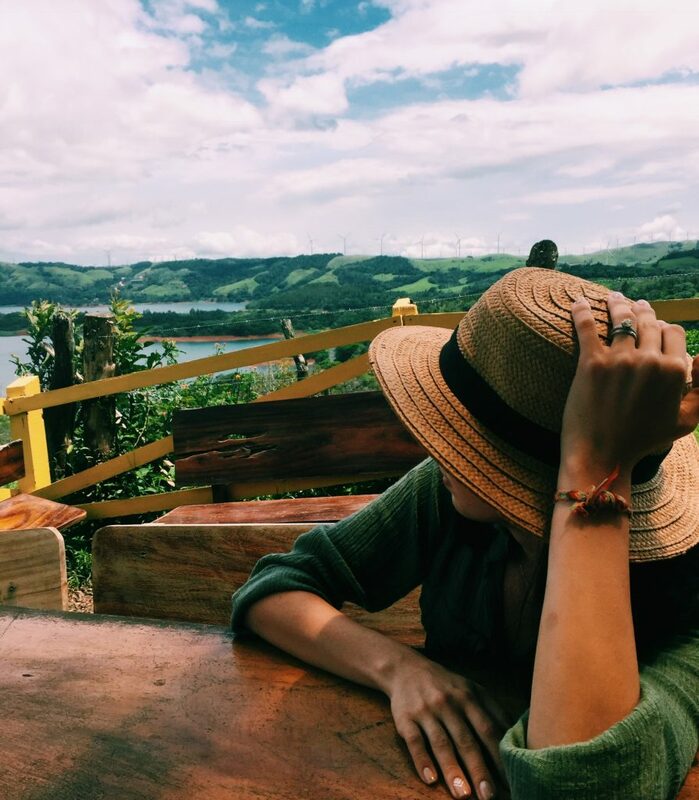 Data Plan – our T-mobile texting & data abroad plan allowed us to Google navigate and communicate with our family. 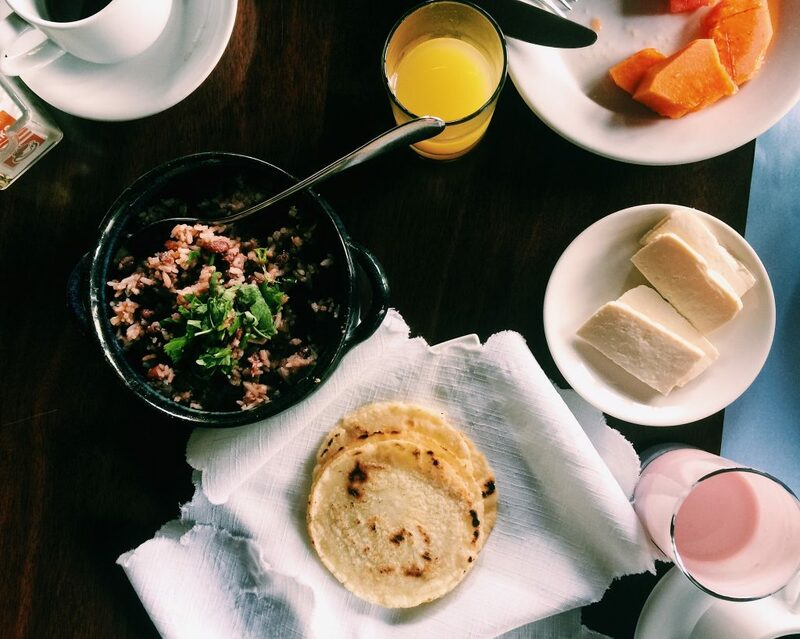 Hotel Silencio de Campo – Dreamy ecolodge with private cabins, hot springs, excellent food and nearby activities. 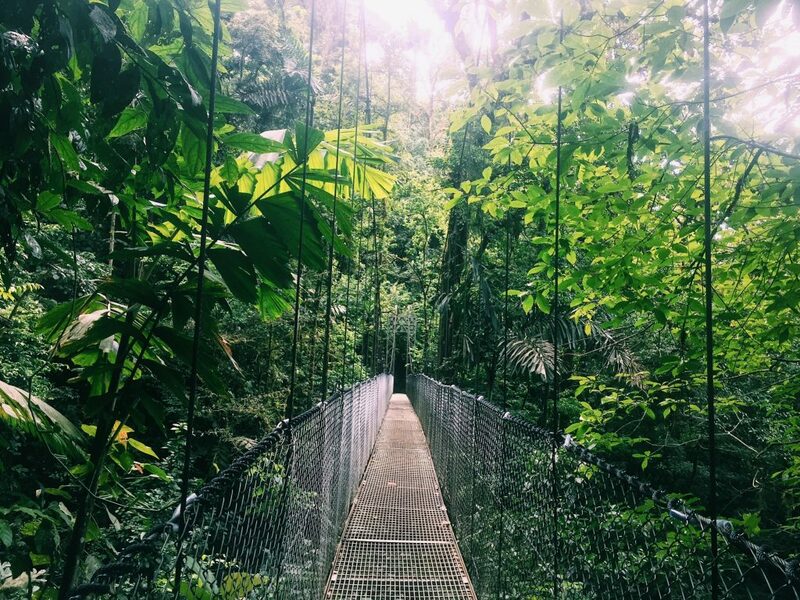 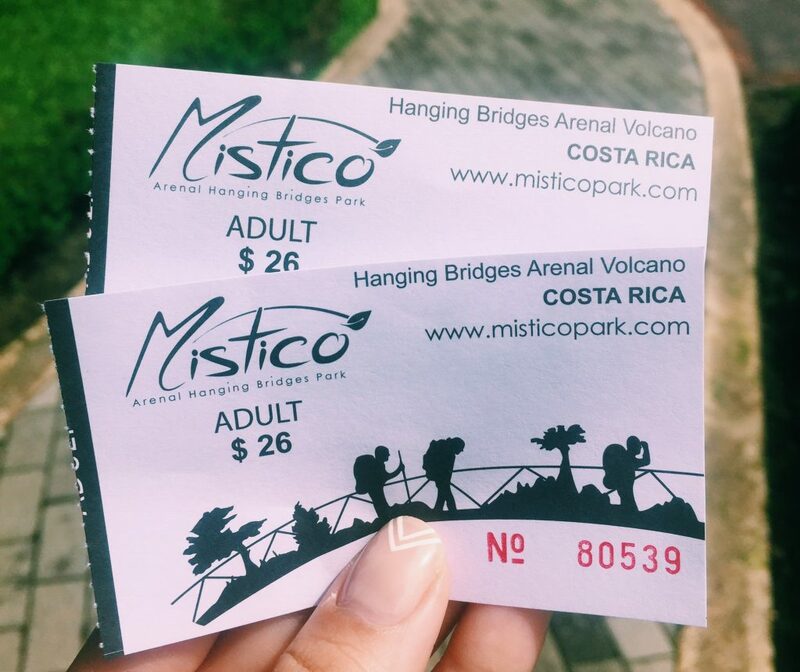 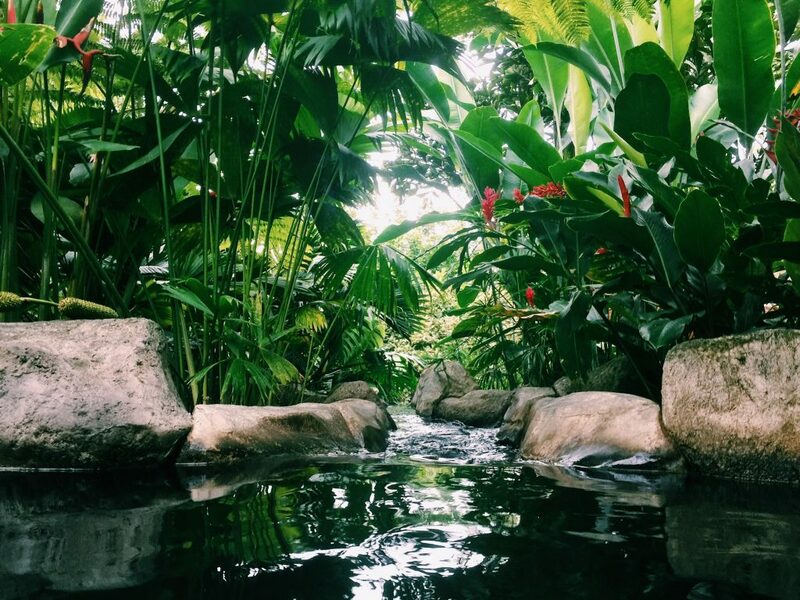 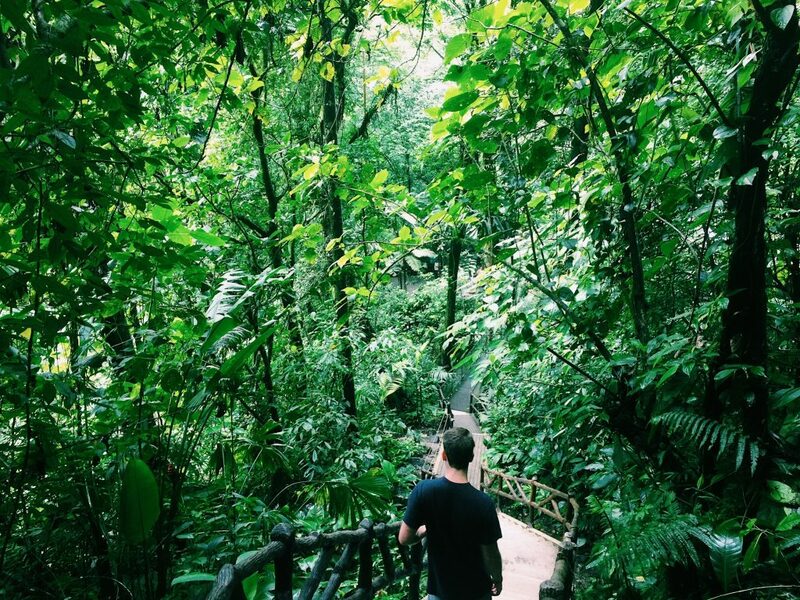 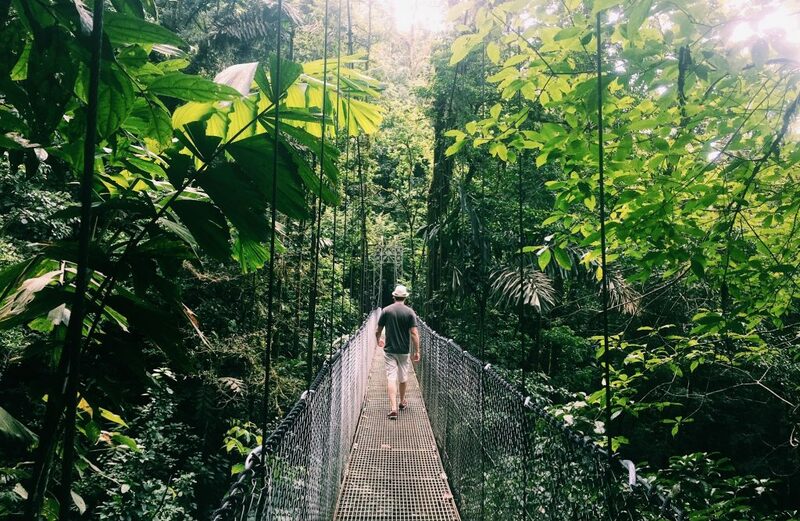 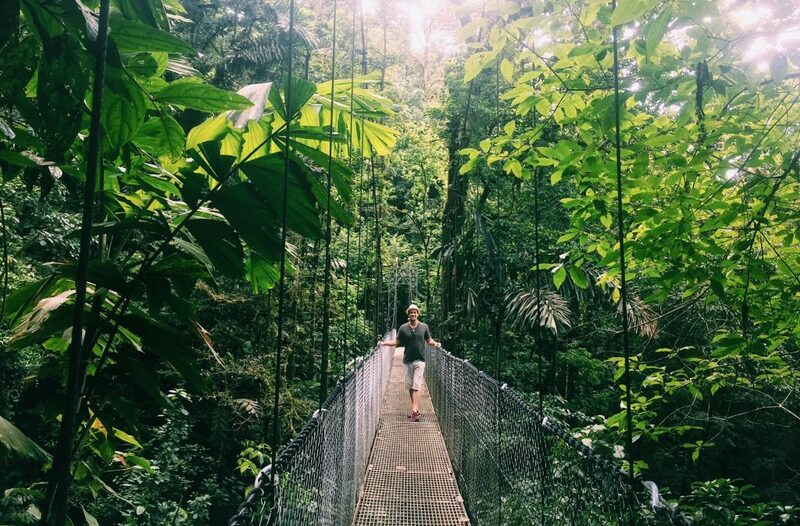 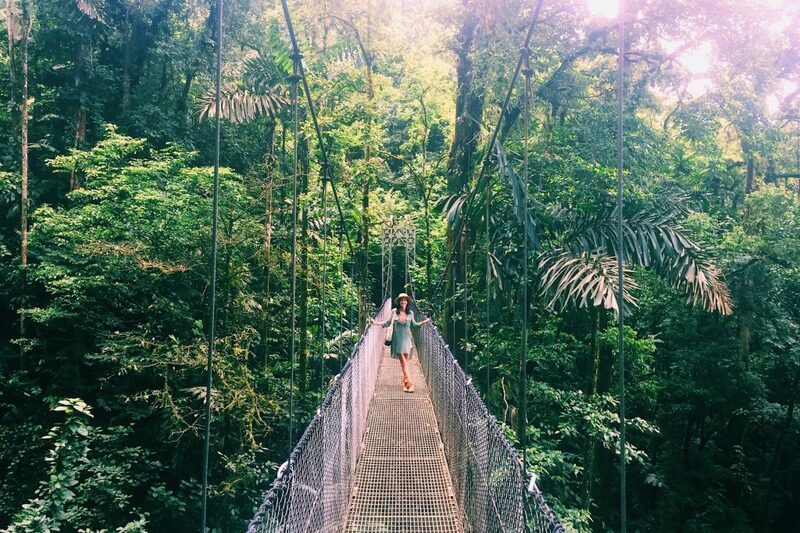 Mistico Arenal Hanging Bridges – Rainforest hike in the trees! 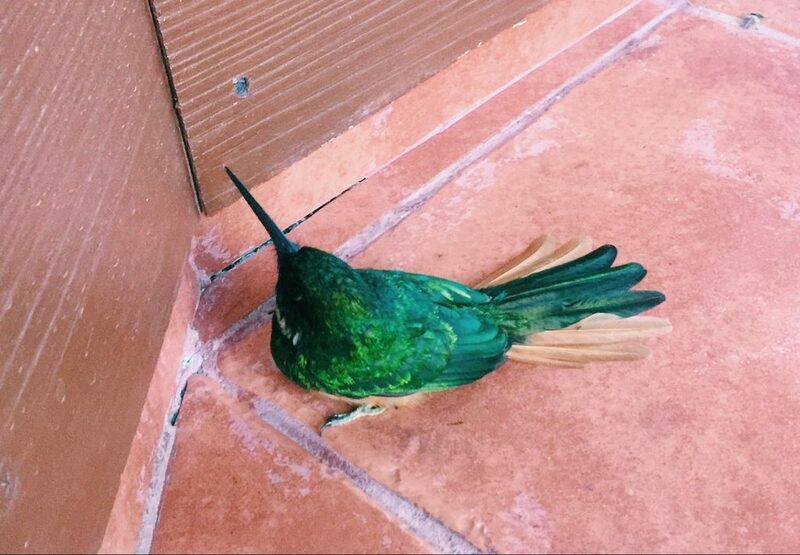 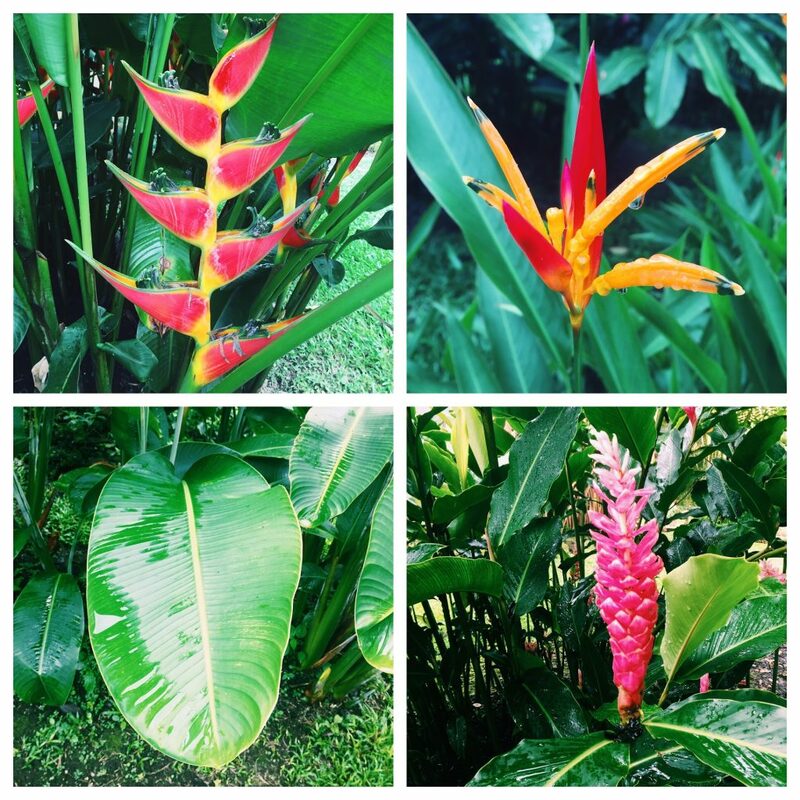 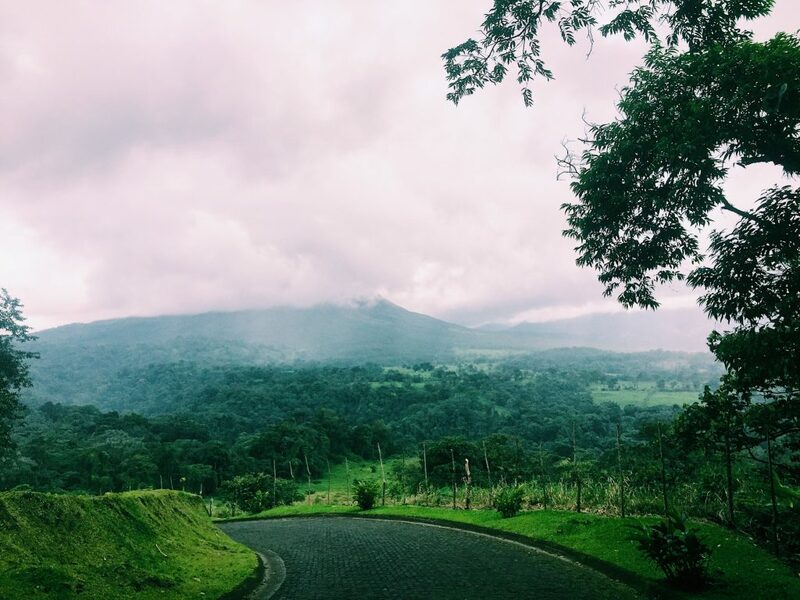 Arenal Volcano – Just amazing! 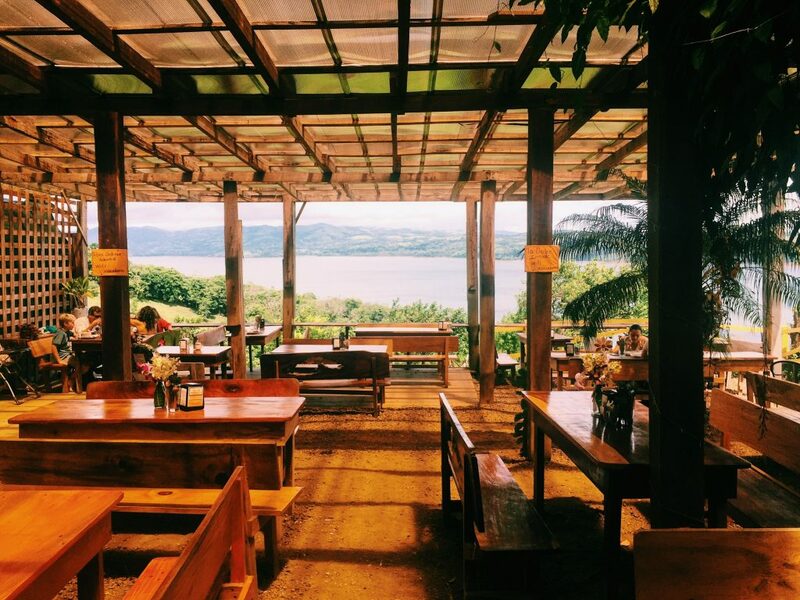 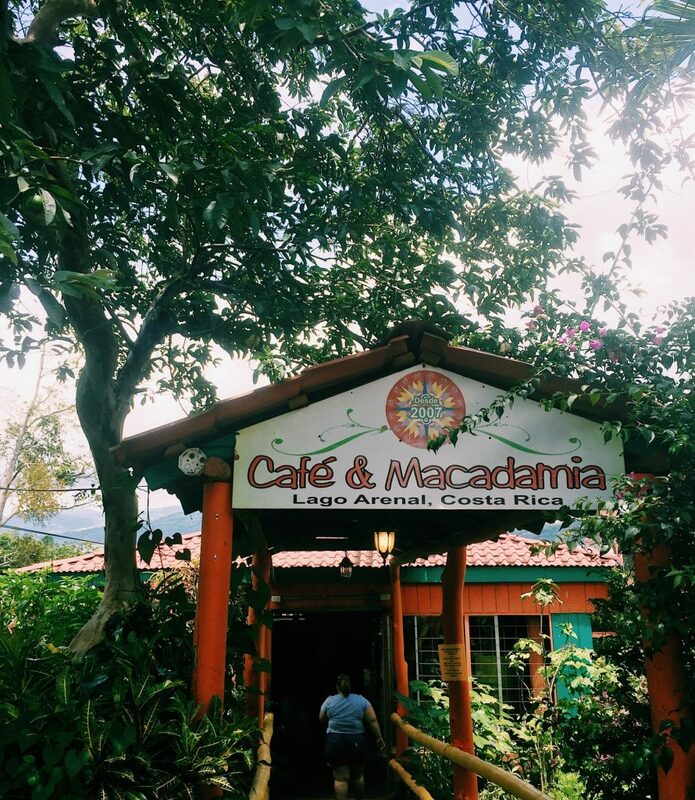 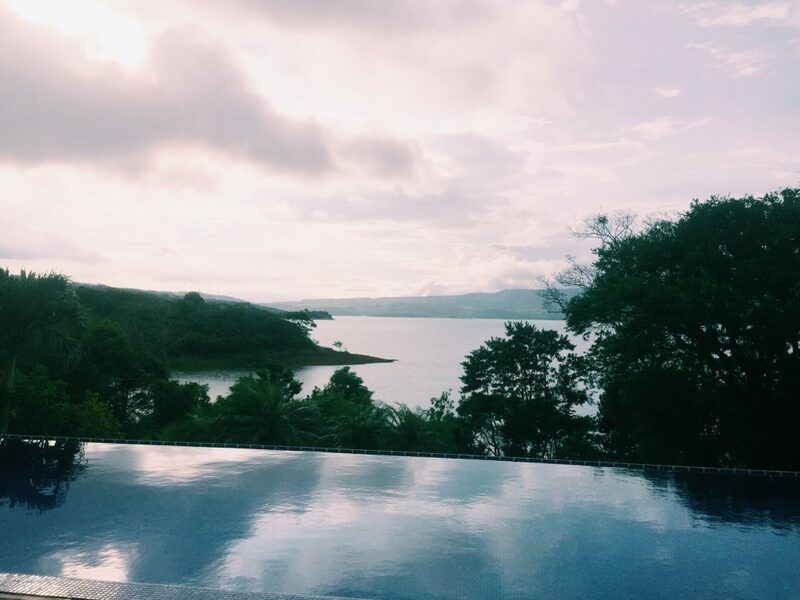 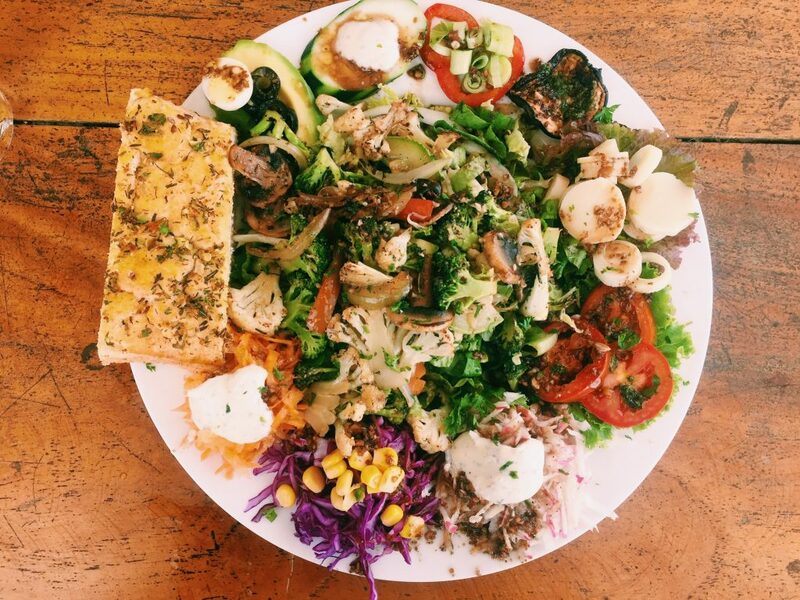 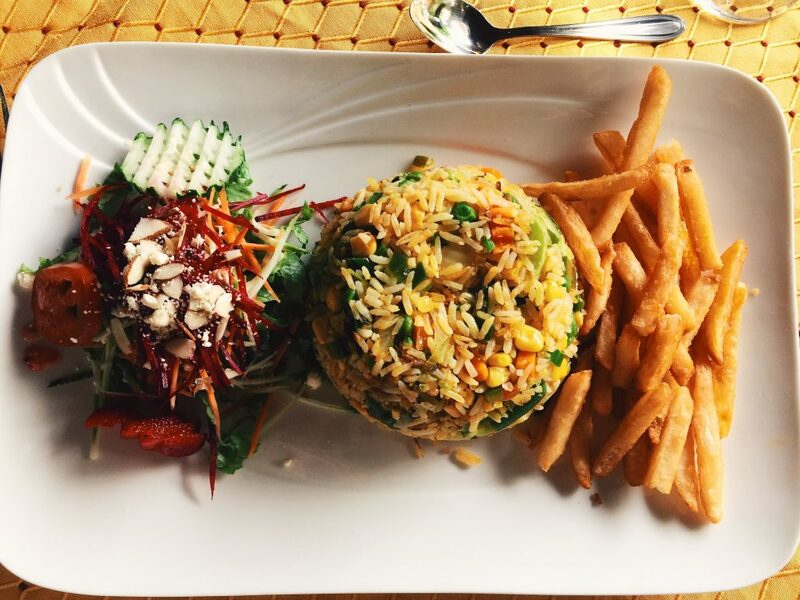 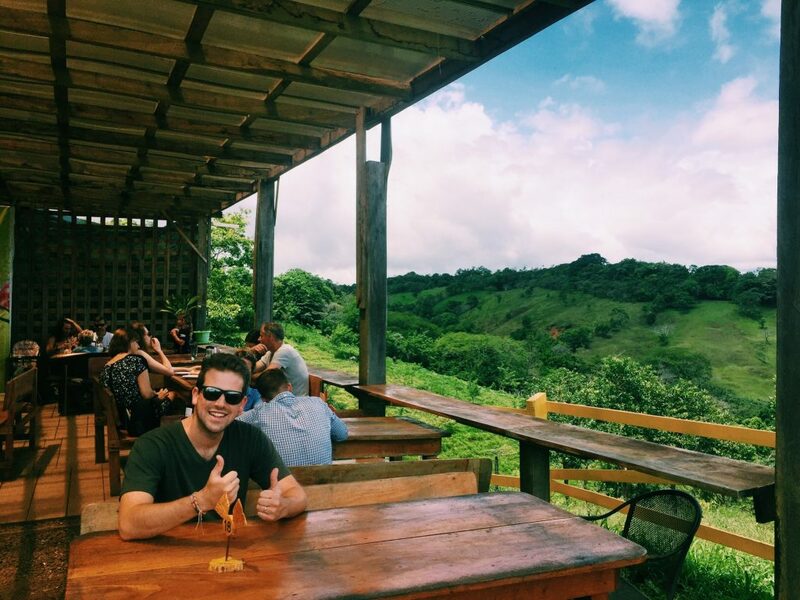 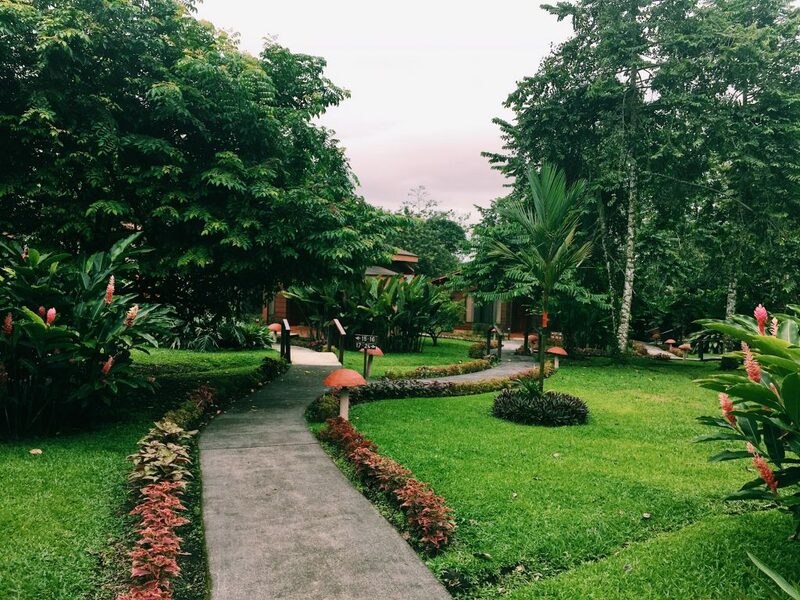 Cafe & Macadamia – Delicious healthy eats with spectacular views of Lake Arenal.